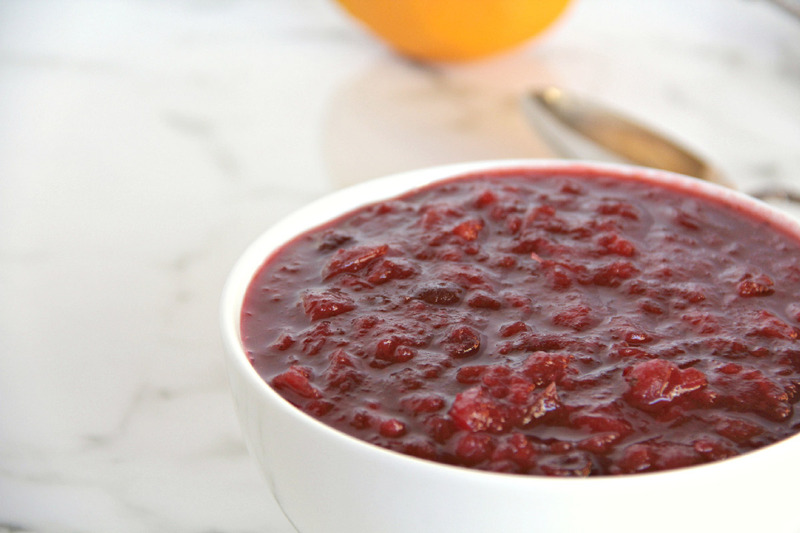 Fresh cranberry sauce with orange zest, pineapple, and a little horseradish makes a great topping for turkey, ham, or pork. I was several years into adulthood before I learned that cranberry sauce was actually made of real berries and not some form of gelatin. My experience with cranberry sauce was that of the jellied, quivering red mass that evolved from the can—which, let me say, I love and it still graces our holiday table every year. However, now we always have two options: the jellied sauce from the can, and this sweet-spicy fresh cranberry sauce. I played around with different variations of a fresh cranberry sauce recipe for years, until I finally settled on one that had everything I wanted: tangy and tart but sweet and has a kick. 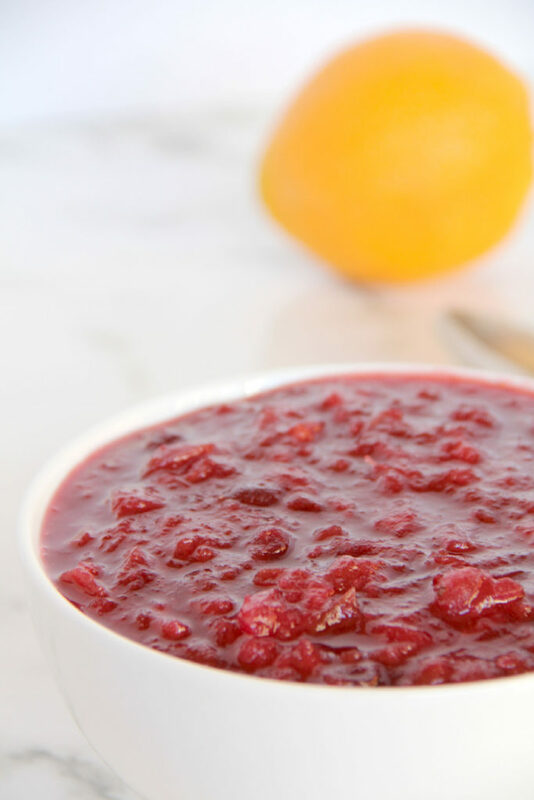 The basis for this recipe is a Cranberry Jezebel Sauce, with a few extra touches added in. The beauty of fresh cranberry sauce is that it’s one thing you can cross off your list several days before Thanksgiving. Make it ahead of time, put it in a pretty dish, and stick it in the fridge. 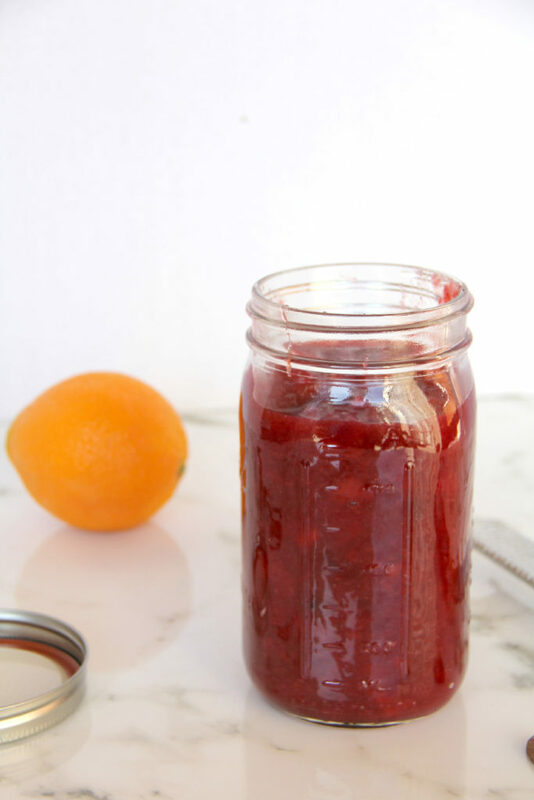 You can also use this fresh cranberry sauce as Christmas gifts or hostess gifts. Bring water and sugars to a boil over medium-high heat, stirring occasionally. 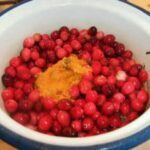 Add cranberries, orange juice and zest, nutmeg, allspice, cloves, and ginger. 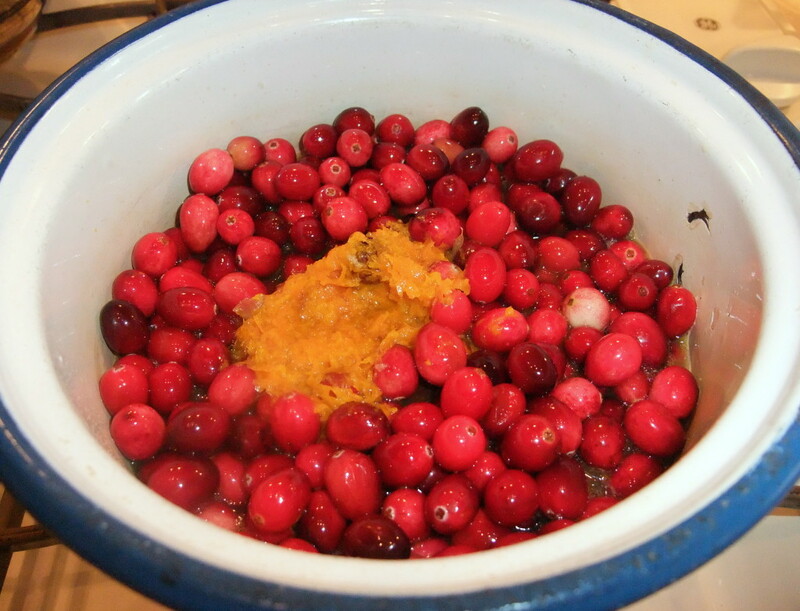 Reduce heat and simmer until cranberry skins begin to pop and mixture begins to thicken, stirring frequently. Turn heat to low and add pineapple, horseradish and mustard. Simmer on low for another five minutes then remove from heat. Cool and place in refrigerator to chill. This sauce will keep for several days in the refrigerator. Hello.. Can you please tell what the serving size is for this recipe is? I don’t see it listed! This sounds too good to pass up…I’m going to divide the cranberries and make half my recipe and half yours.